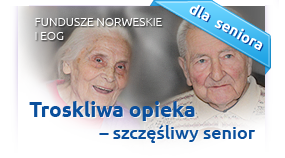 On 3 November 2014, as part of the project "Improvement of health care of the elderly, dependent and chronically ill people from Żary and Lubsko and the rest of the southern area of the Lubuskie province" was the start of the Nursing Long-term Domestic Care. preparation to self-care and self-nursing in illness and disability. Within the cycle we offer 8 free-of-charge one-hour nurse visits in the patient's home. Qualification to be subject to care is a referral issued by a doctor - referral slip can be downloaded from the website. Full information can be obtained in the consultation point in Lubsk at 2 Poznańska st. or by calling 533 309 890.